Light in color, strong, hard, & richly grained... This beautifully grained wood is known for its hardness by anyone who has ever used a baseball bat or hockey stick! 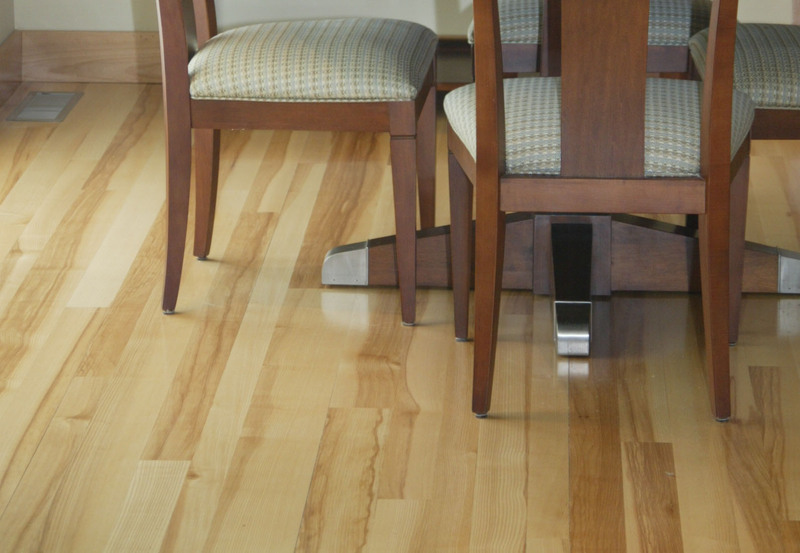 Very popular because it is strong, hard, and has a high resistance to shock, ash's lighter color and straight grain make it very adaptable in both formal and casual settings. 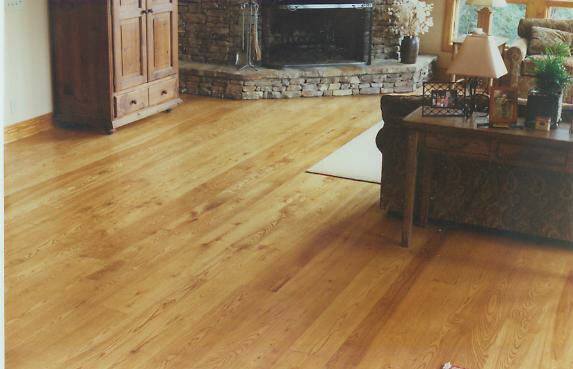 Ash is moisture resistant and because of its relatively dry fiber, it offers superior stability in flooring applications. The sapwood is light-colored to nearly white and the heartwood varies from greyish or light brown, to pale yellow streaked with brown. 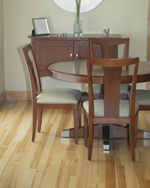 The wood is generally straight-grained with a coarse uniform texture. The degree and availability of light-colored sapwood, and other properties, will vary according to the growing regions. Ash has very good overall strength properties relative to its weight. It has excellent shock resistance and is good for steam bending. "...both the guy who installed it and the guy who's finishing it said 'this is quite the floor!' you guys make a great product." "...our sander really likes you, it hardly had to do any work at all." "...The floor is gorgeous! I cannot thank you enough for such a fine product. 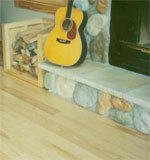 Your help was much appreciated...The thing I liked about the floor as I installed it, was how easy it went together. 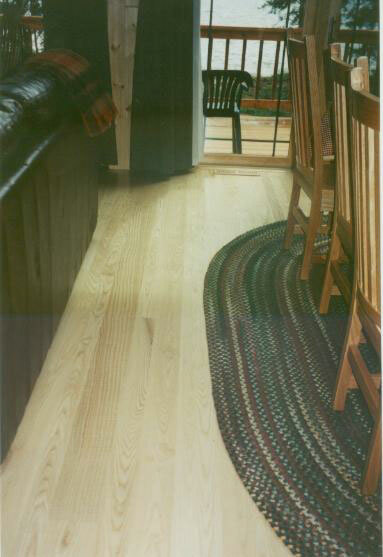 I have put in other hard wood floors with narrower boards and had trouble getting the tongue and groove to line up. Not with this floor!" 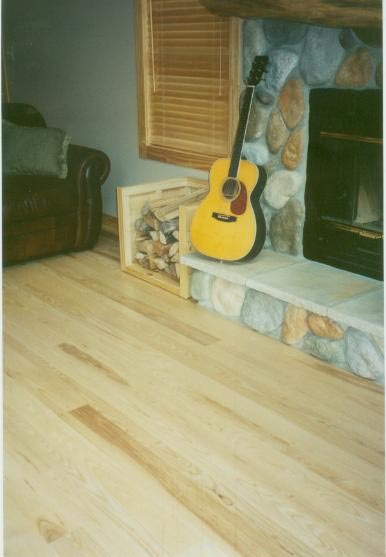 "To answer your question about having learned something, if I ever buy another hard wood floor, it will be through your company. 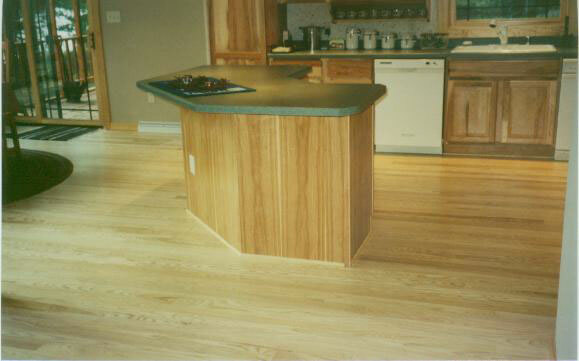 I believe the quality of the floor made installation so much easier."